How can a Diet Tracker be very, very simple? Our client Alere makes smart, connected products designed to help people live longer and manage their health. The Diet Tracker is part of a larger service—MyAlere—designed to help people track key health dimensions including food intake, daily activity, blood glucose, blood pressure, cholesterol, INR, and weight. We wanted to create a food tracker that required no data entry. 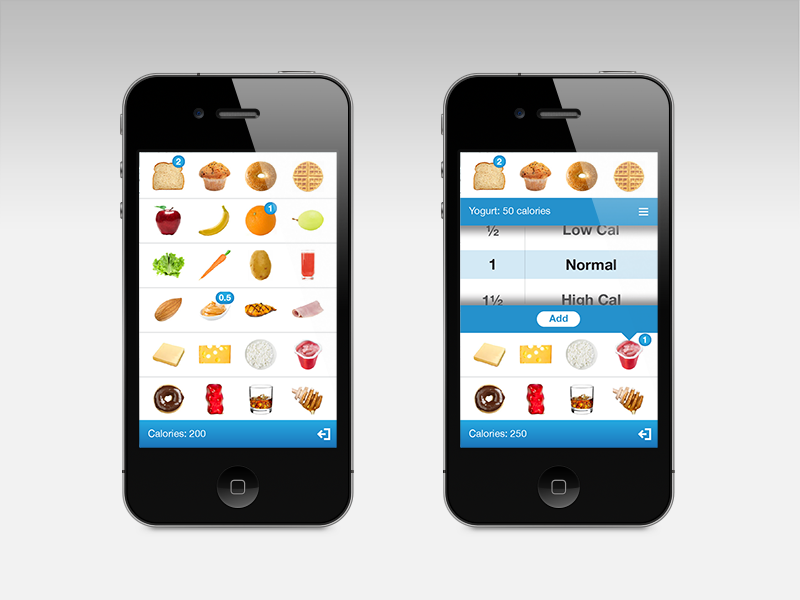 To track calories, people simply click on food photos. Calories consumed are automatically logged and totalled for review.